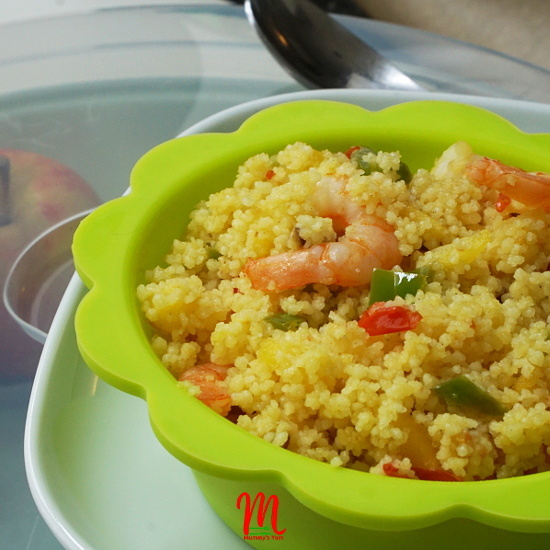 Apple Couscous is a sweet & savoury flavoured dish that you can easily make in minutes for your toddler. 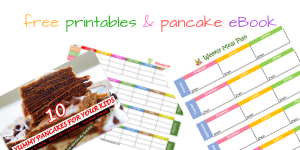 It is suitable from 1 year up and can be made in bigger quantity for the whole family, as well as make a good lunchbox meal for school. Couscous are small wheat or semolina granules that cooks by just pouring boiling water on it and allowing it to soak up the water to get done. Just like you make fried rice, you can as well use couscous as an alternative, which is basically a bit of what i did here, but this time i added a bit of sweet taste to it. Apples are good nutrition for kids and this recipe is equally a good way to encourage your toddler to start chewing on them. You can use other vegetables of choice to this recipe, as well as use other kinds of protein like chopped beef, chicken, fish etc. 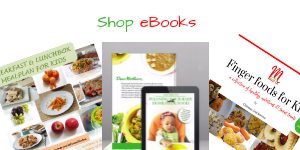 Have you tried the Chicken & Carrot Couscous, as well as the Fish Curry Couscous recipes? Click on them as well after enjoying this new addition. Put couscous and salt in a bowl, then pour a cup of boiling water into it. Cover and leave for at least 5 minutes. Peel and dice apples, pepper, tomatoes and onions into small pieces. Put a pan or pot on heat and add oil. Once hot, fry the onions till translucent. Add the remaining diced ingredients, together with the curry powder. Allow to cook for about a minute, lower your heat, then add the cooked prawns or other meat or fish to combine well. Fluff the couscous up with a fork and then add to the pan. Stir well to combine and then bring down. Join the Mummy’s Yum Community of Facebook and Instagram. Follow us and tag us to the delicious meals you’ve tried out here.